This course is designed for Licensed Acupuncturists who wish to deepen their skills in clinical application of the five meridian system of acupuncture found in the classics of Chinese medicine. We will cover the basic theoretical foundation for treatment protocols involving the Sinew Meridians, the Luo Vessels, the Divergent Channels, the Eight Extraordinary Vessels and the Primary Channels from a classical point of view. We will also examine individual cases, outlining protocols for each individual case in each of the meridian systems. Our discussion will examine the unique features of each system, and the ways in which these features manifest on the pulse, in the spirit and in treatment objectives. Session 1 - Present the basic theory of the Five Meridan System and outline relationships via the Wei, Ying and Yuan model. Session 2 - Present each of the Five Meridan Systems individually with treatment guidelines. Session 4 - Continuation of clinical application of treatment protocols for each of the 5 meridian systems; cases reviewed for treatment specifics in each of the meridian systems. 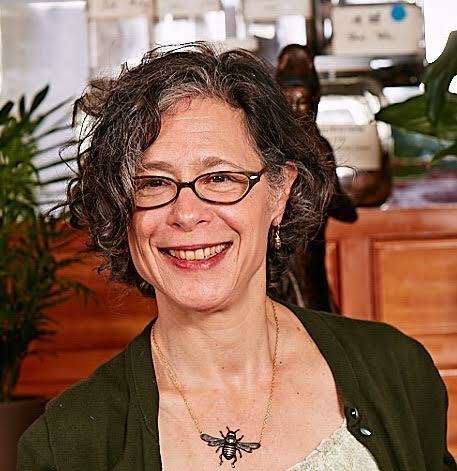 Josephine	Spilka	is	a	licensed	acupuncturist,	practicing since	1994	with	a	Master’s	degree	in	Traditional	Oriental	Medicine from	Samra	University	in	Los	Angeles. Shortly	after	graduating	she	was	introduced	to	the	synthesis	of	classical	teachings	and	the	modern	practice	of	Chinese	medicine	by	Sharon	Weizenbaum,	then	went	on to	study	extensively	with	Jeffrey	Yuen beginning	in	1998. Currently,	as	the	owner	of	www.essencepresence.com,	Josephine	teaches, mentors	and	consults	in Chinese	medicine and	Buddhist	meditation. Additionally,	as	a	faculty	member	of	Daoist	Traditions	College	of	Chinese	Medical	Arts	in	Asheville,	North	Carolina, she teaches	core	curriculum	courses	utilizing	classical	systems	such	as	Divergent	Meridians,	Luo	Vessels	and	Eight	Extraordinary	Vessels	as	well	as	supervising students	in	the college	clinic	and	conducting	case	review. Combining	deep	study	with	practical	application,	Josephine	aspires	to	share the	benefits	of	putting	the	classical teachings	into	clinical	practice with	her students and	other	licensed	professionals. In	all	that	she	does,	Josephine is focused	on investigating	the relationship	with essence in	its	many	forms. Growing	and	innovating	from	her	foundation	in	Chinese	medicine,	she	teaches on	essential	oils	and	Chinese	medicine,	shares contemplative	photography,	and	serves others	in	finding	and	mining	their	own	essence. With	pith	and	passion,	Josephine	brings	together	many	streams	of	teachings	to	offer	an	inspiring	and	practical	application	of	ancient	wisdom.